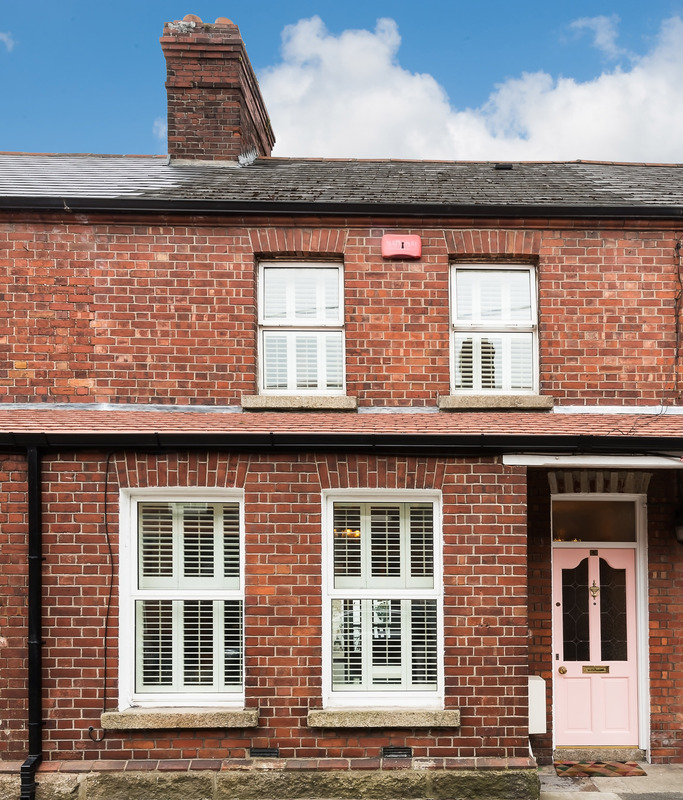 Location: 4 Tritonville Avenue, Sandymount, Dublin 4, Ireland. Description: 2 Bedroom Mid Terrace Period Home. 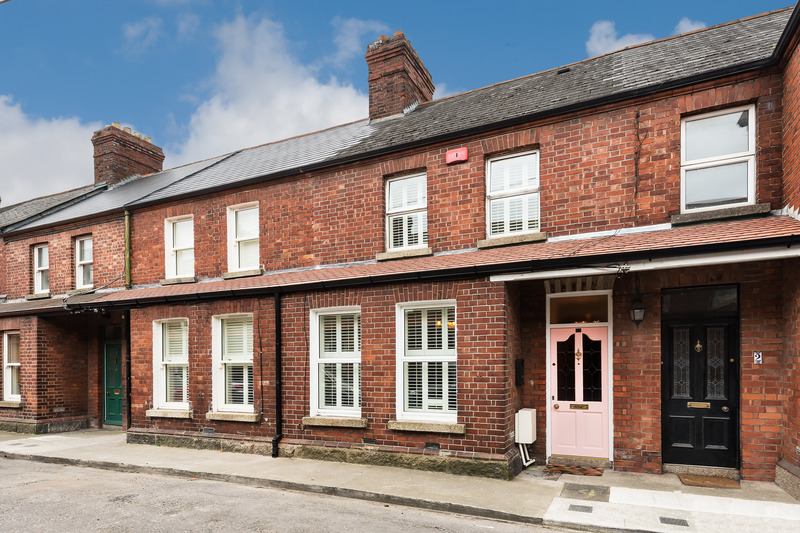 4 Tritonville Avenue, Sandymount, Dublin 4. 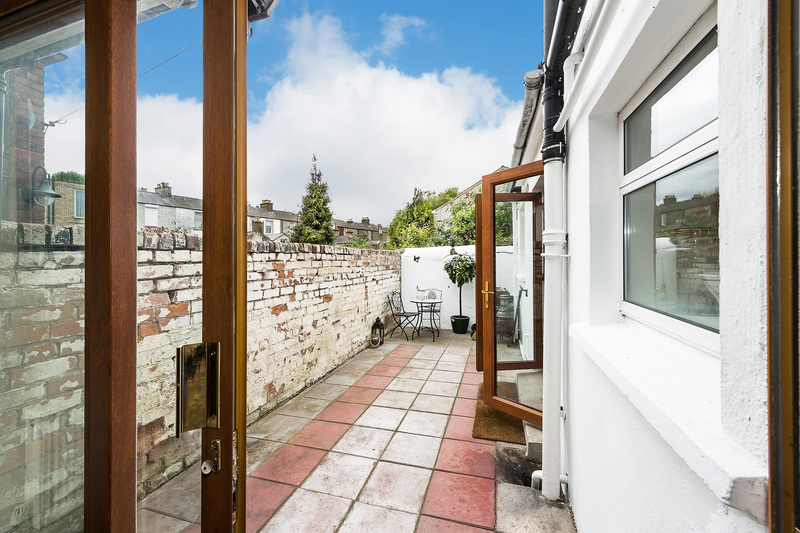 Finnegan Menton presents this wonderful 2 bedroom mid terrace period home extending to c.100sq.m. 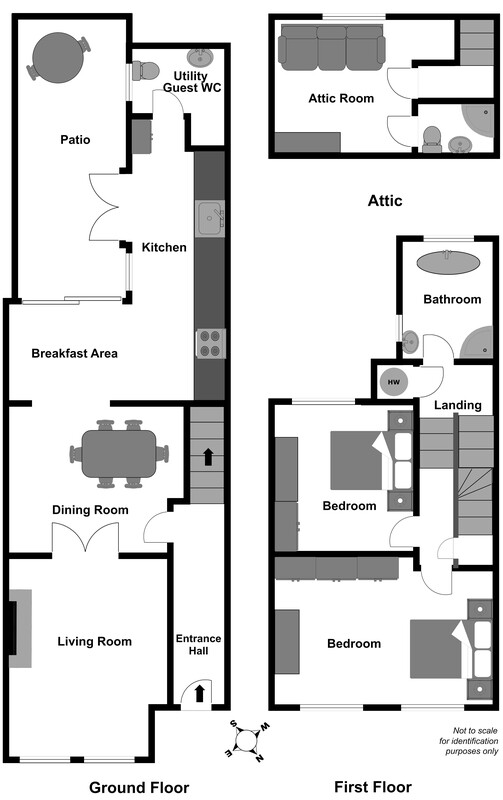 / 1,076sq.ft. with an additional attic storage of 8sq.m. / 86sq.ft. The property has a full redbrick exterior to the front and a south westerly facing rear patio area and is in exceptional walk in condition. 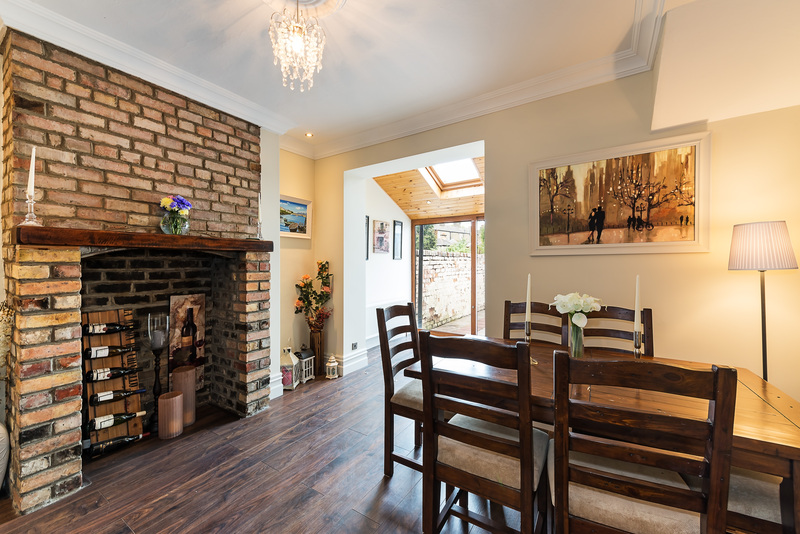 Tritonville Avenue is in a great location in Sandymount being conveniently located in a small cul-de-sac just off Cranfield Place and only 2 minutes walk to the sea at Sandymount Strand close to Irishtown Nature Park, Sandymount Village and Sean Moore Park. 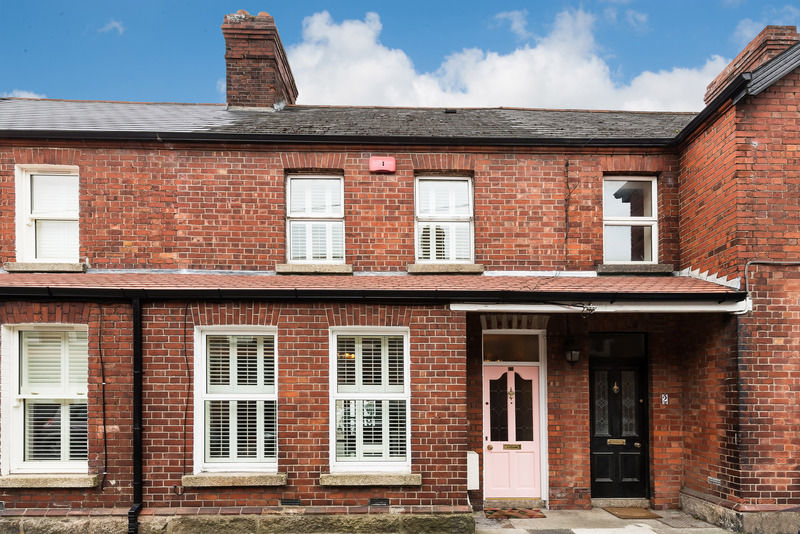 This wonderful bright Victorian terraced house was built in 1905 and fully renovated to a very high quality of workmanship in 2012. Tritonville Avenue is mentioned in James Joyce's masterpiece Ulysses "Past the Presbyterian Church grounds and along by shady Tritonville Avenue where the couples walked and lighting the lamp near her window where Reggy Wylie used to turn his freewheel". 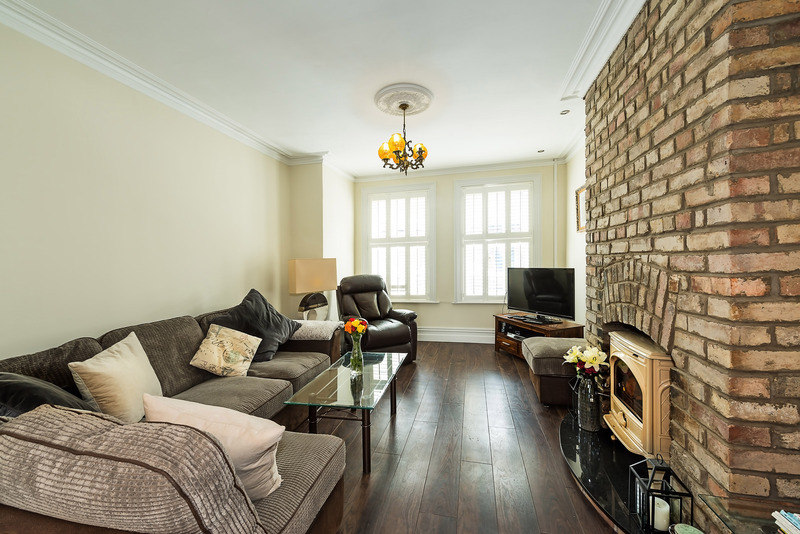 Accommodation includes entrance hall, living room, dining room and kitchen / breakfast area, utility & guest wc on the ground floor, two bedrooms and bathroom on the first floor and an attic area and ensuite. 4 Tritonville Avenue is a red brick terrace home tucked away off Cranfield Place. 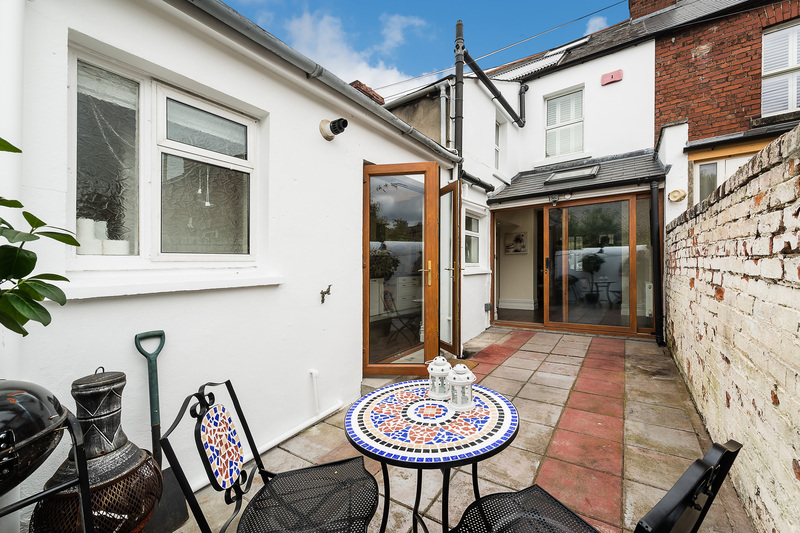 The property is located within a 1 minute stroll of the sea at Sandymount Strand while Sandymount Village and its picturesque Green are also close by. The RDS, Lansdowne and Sandymout DART Stations are within a short walk as is the Aviva Stadium. The heart of Dublin's Business district including St. Stephen's Green and Merrion Square and Ballsbridge are within minutes drive. 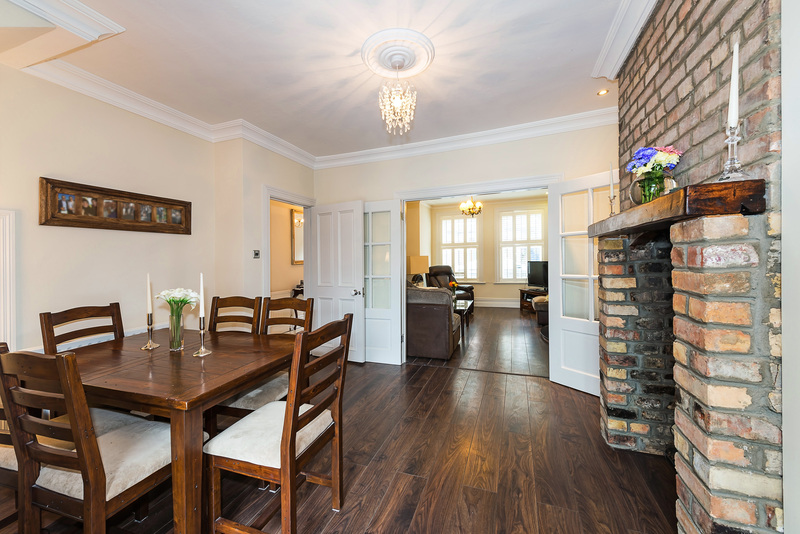 Also with close proximity (10 minute walk) to Grand Canal Dock area. High ceiling, coving & centre rose, light fitting included, fuse board, floor completely tiled. Feature brick chimney breast and Dovre Ivory enamel multi-fuel stove included, coving and centre rose, light fitting included, tv point, timber floors, timber plantation shutters, double glass doors with butterfly hinges mean these doors fold flush to the wall and open into the dining room area brushed chrome light fittings. Feature brick open fireplace with timber mantle piece, timber floors, coving & centre rose, light fitting included, under stairs storage press, recessed lighting, led floor lights, Velux roof lights, brushed chrome light switches. 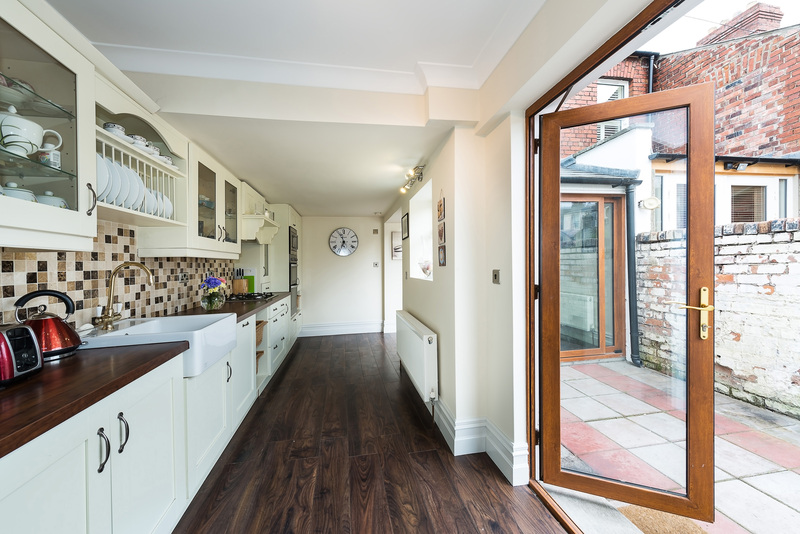 Kitchen / Breakfast Area: c.2.5m x c.2.5m. 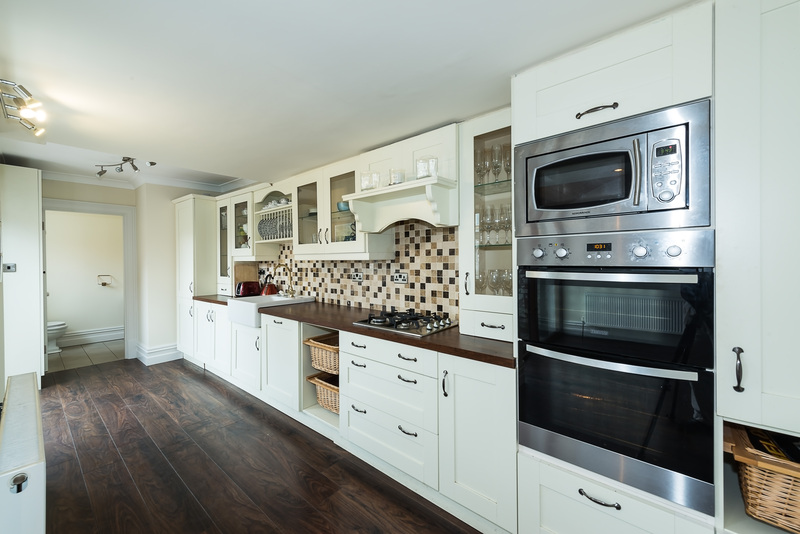 Custom built kitchen units by In Kitchens, Galway include built in larder, timber countertop, over sink plate rack, built in wicker fruit baskets, lots of storage presses, Villeroy & Boch Franke Belfast sink, brass mixer tap, splash back wall tiling, timber floors. All kitchen appliances included, Zanussi fridge freezer, Zanussi double oven and extractor hood, microwave, 4 ring Nordmende hob, Hotpoint built in dishwasher. Coving, brushed chrome light switches, sliding door to patio from breakfast area and double doors from kitchen. Tiled floor, wc & whb, LG washing machine and Zanussi tumble dryer included in sale. Located on the first floor return at the top of the stairs. 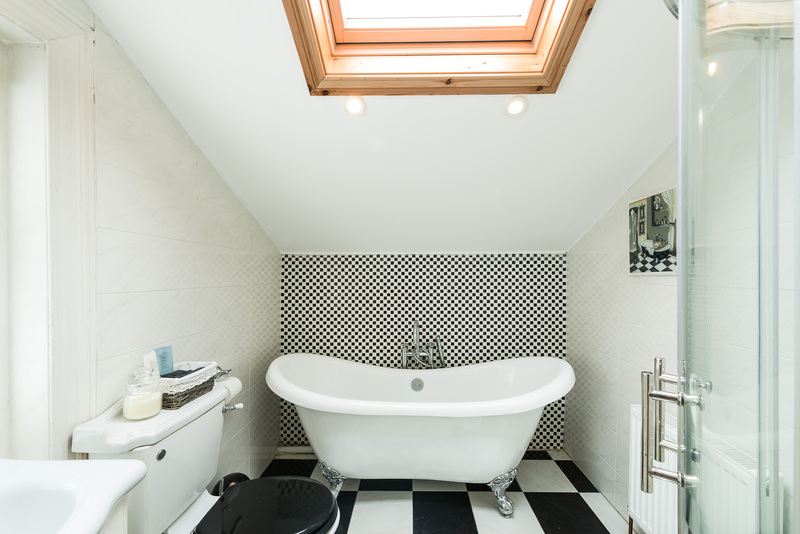 White bathroom suite comprising wc, whb, curved bath, large shower unit with glass door, chrome sanitary fittings, complete wall tiling, black & white floor tiles, velux roof light, extractor fan, under sink vanity mirror with hidden shelves included. Landing: Under stairs cloakroom, separate press for the water tank, coving, carpets. 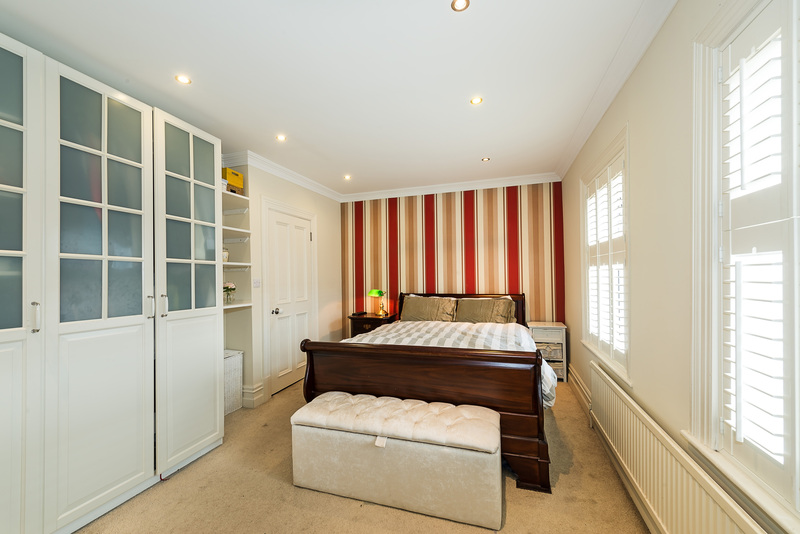 Double bedroom, coving, built in wardrobes included, open cast iron fireplaces, recessed lighting, tv point, carpeted, decorative wallpaper, timber plantation shutters. 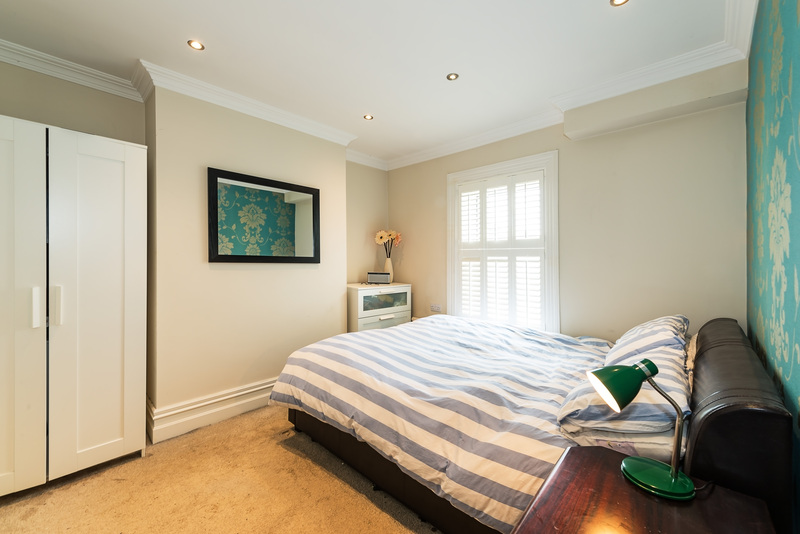 Double bedroom, coving, decorative wallpaper, recessed lighting, timber planation shutters, carpeted. 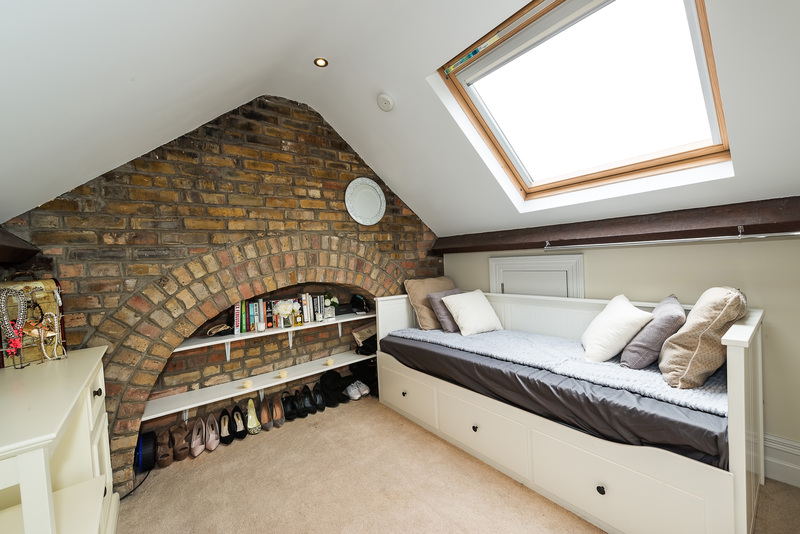 Feature restored brick wall, carpeted, two attic storage hatches, Velux window makes this attic storage space bright. wc, whb, shower unit, complete wall and floor tiling, extractor fan, recessed lighting. - Fully renovated in 2012 to excellent finish. 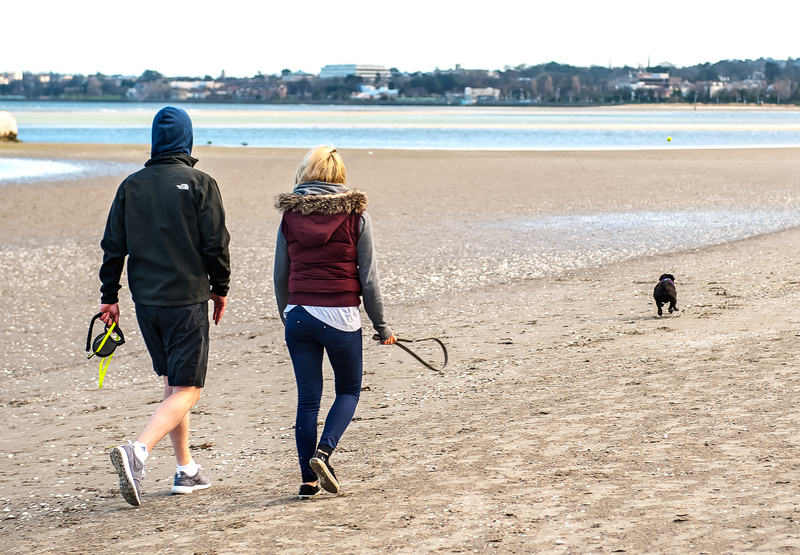 - Right beside the sea and Sandymount Strand (1 minute walk). - Small cul-de-sac off Cranfield. - Beside St. Mathews National School. - South Westerly facing rear patio area. 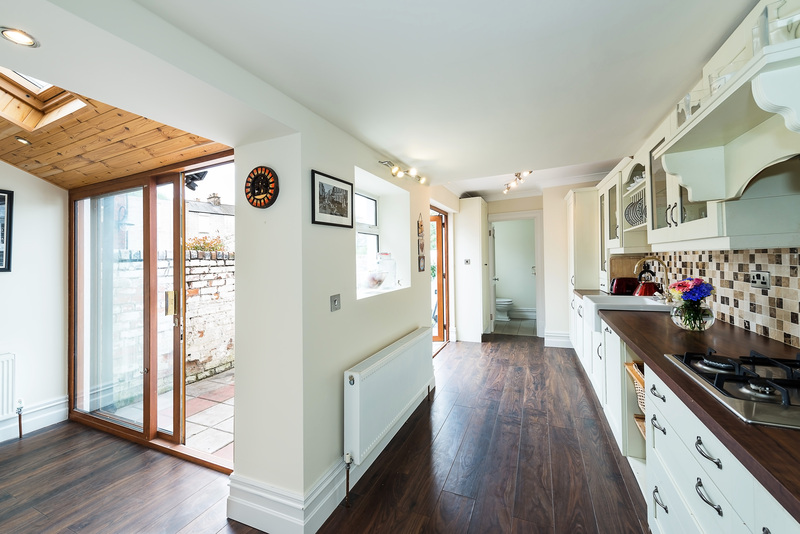 - Character filled period residence with high ceilings throughout. 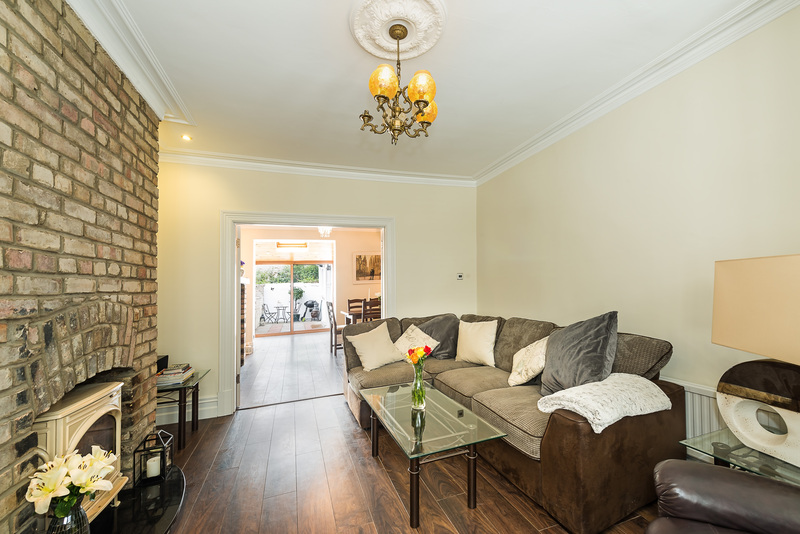 - Sought after residential location in Dublin 4. - Timber shutters from New Hampshire Interiors. - Walking distance to the DART line. - Bus stop close by on Church Avenue. - Solar panel on roof. - Extending to c.100sq.m. / c. 1,076sq.ft. - Attic is converted for storage with an additional c.8sq.m. / c.86sq.ft. 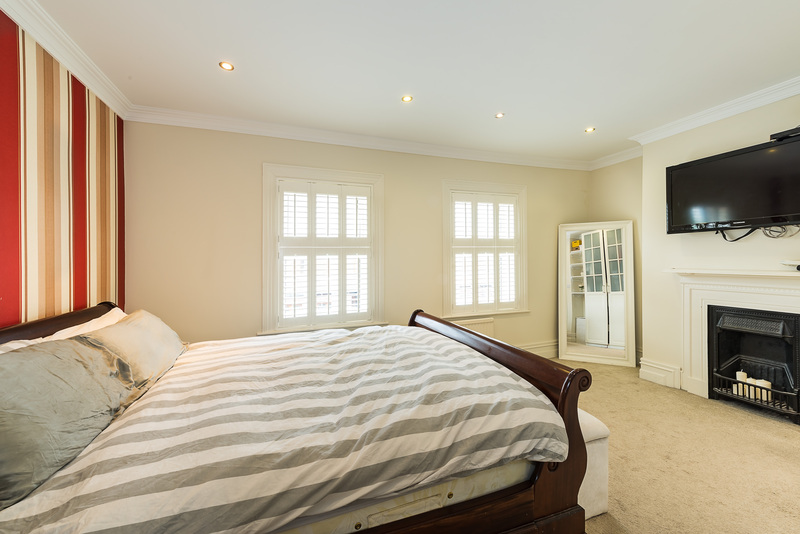 - Light fittings, plantation shutters, timber floors, carpets and all kitchen electrical appliances included. - Ivory enamel stove included. - 9" North American oak & walnut skirting boards. - Turn key home in excellent condition. - Munster Joinery doors with white porcelain door knobs. 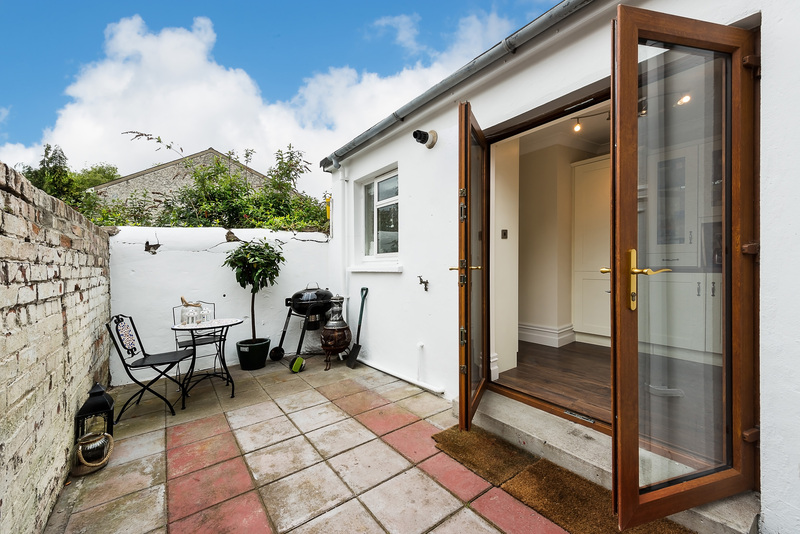 South westerly facing patio, double doors from kitchen and sliding door from dining room make this outside space very inviting, outside tap and double plug sockets. Just off Cranfield Place which is between Tritonville Road and Beach Road. 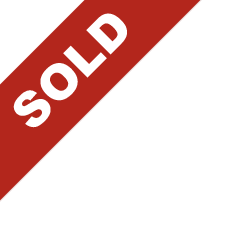 Property is signposted with Finnegan Menton for sale flag.